Czech Republic no more atheist than the rest of Europe? The Czech Republic has been called the most secular and atheistic society in the world, but its atheism is actually not much higher than in other European countries, and churches still play important roles in the nation writes sociologist Petr Pabian in the current issue of the Czech theological journal Communio Vittorum (1:2015). Pabian argues that the widely held estimate that half of the Czech population are atheists is overblown. Counts of atheists have tended to include those not affiliated with any religions. “When we include in the ‘atheist’ category only those who answer negatively to all survey questions relating to religious and/or spiritual beliefs and practices, the final count is around five percent. In other words, while Christians constitute a minority in Czech society [30 percent], atheists constitute an even smaller minority,” he writes. Pabian also criticizes other research suggesting new or alternative spiritualities are gaining ground in the country; he cites an in-depth qualitative study of two Czech cities showing a marginal alternative spiritual scene both in numbers and in the commitment of practitioners. If not atheism, Christianity, or new religious movements, what is the predominant group or trend in the Czech Republic? Pabian argues that the key group is the religiously indifferent; “this is obvious in surveys that give a list of topics (up to 20) and ask respondents to arrange them by [their importance]. Irrespective of the numbers and range of topics, religion always comes last or, at best, second to last,” he writes. While many scholars have traced Czech secularism to an anti-Catholic national identity formed in the 19th century, Pabian maintains that the majority of Czechs were religious up until the mid-20th century and the advent of communist rule. After communism collapsed, Czech society integrated into secular Western Europe. 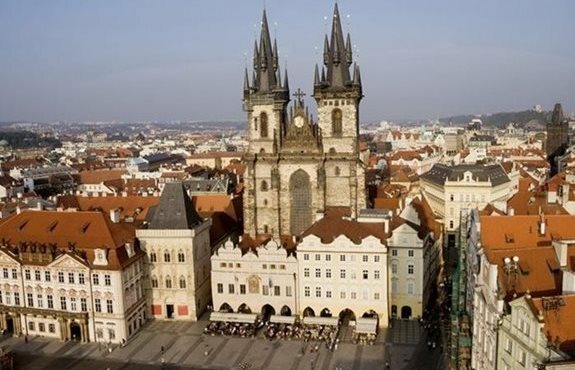 But he argues that churches have maintained a public role in the Czech Republic; in areas such as care for the elderly and poor, the majority of Czechs still expect these institutions to perform such tasks. The Catholic Church is “sometimes expected to step [into] the very center of national politics; it has come to play a role during presidential inauguration (including the new president visiting the tomb of Saint Wenceslaus), even as there are no rules prescribing this.” Pabian concludes that the most important public manifestation of Christianity is its pervasive symbolic presence through its churches and the public holidays of Christmas and Easter.